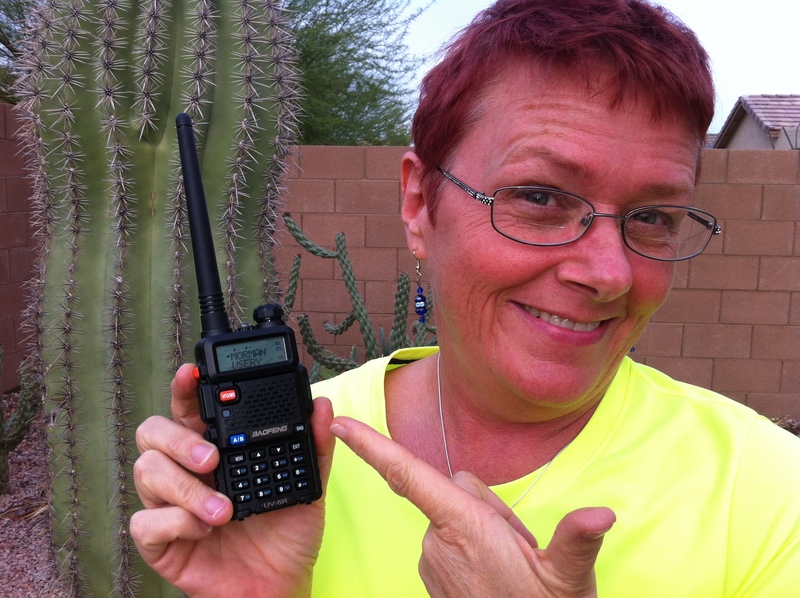 Connect to HamTestOnline™ on social media for a chance to win a BaoFeng UV-5R Dual-Band Ham Radio ! UPDATE: Congratulations to Kiran Shila, KJ4EYN, the happy winner of the May Day ham radio! To encourage more fans to connect to us on the social media sites, we decided to give away a radio! Connect on more than one to multiply your chances! Note: We have not yet purchased the actual radio. The one in the picture is mine! These radios are still new, and as of this writing, there are only 12 reviews on eHam.net reviews. We are keeping an eye on the reviews and reserve the right to switch to a similar radio (e.g., UV-5R, UV-5RE, F-11, or even a Wouxun) if we don't like what we see! Please note that these are most hams consider these to be to be fairly good, reasonably functional handhelds, but you should not expect it to have all the high-end features and ease of use of a $300 radio.